Stonehurst Manor, a historic boutique hotel, a favorite among brides and their families, released their 5 page NH wedding planning guide to assist couples planning a New Hampshire Wedding. The guide is written by their internal wedding planner who has over 25 years experience in organizing and planning weddings. The guide covers the White Mountains, activities for guests to do, local food, and questions brides should ask all venues before booking their wedding. 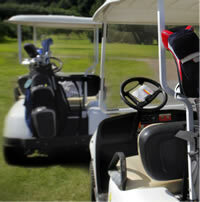 Get In The Golf Game with Province Lake’s Summer Olympic Rates! Province Lake Golf is getting in the spirit! 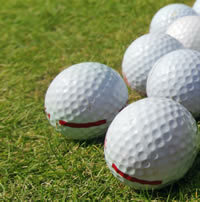 Go for the gold with their new Olympic golf rates! Bring your group to Province Lake Golf during the Olympics to take advantage of these great group rates! Call the Pro Shop to book your outing. All reservations must be made 3 days in advance. Follow the Road to the Links and try your hand at over 200 holes of golf throughout Mt. Washington Valley. We are a premiere golf destination with eleven courses, creating yet another element that makes this area a four season place to stay and play. Have your winter fun, but keep your eye on the prize and keep practicing your swing. With 9-hole and 18-hole courses from Gorham, New Hampshire to Lovell and Parsonsfield, Maine, Jackson Village to Bretton Woods, New Hampshire. Some are set to the scenes of classic and historical hotels while others are surrounded only by the White Mountains, letting you focus solely on your game. Either way, golf in the Mt. Washington Valley understands the importance of that perfect swing and score. And at the end of the day, they will always have great views and a great clubhouse to let you relax and talk about both of those things! If you are in the market to stock up on your golf supplies or treat yourself to a new club set, visit the courses’ pro shops and speak with the Golf Pro to get expert advice on what is going to make you the best golfer you can be. If you are an avid golfer and want to hold a function or have your wedding at one of the Road to the Link’s courses, many of them are fully equipped to make your event special and personal. Enjoy your special day or event as it looks over a course with the White Mountain National Forest in the background while looking forward to celebrating with a round of golf either before or after the event. When you golf in the Mt. Washington Valley you get so much more than just a cart and scorecard!